West Palm Beach attorney Michelle Suskauer has been chosen as president-elect designate of The Florida Bar. Suskauer will be sworn in as president-elect at the Bar's annual convention in Boca Raton on June 23, when current President-elect Michael J. Higer of Miami becomes president. Suskauer will begin her term as Bar president in June 2018. Also decided in the voting, which ended March 21, were contested elections for The Florida Bar Board of Governors in the: 8th Circuit, Stephanie Marusak Marchman, Gainesville; 13th Circuit, Amy S. Farrior, Tampa; and 20th Circuit, Marcy L. Shaw, Fort Myers. Suskauer, 50, is a criminal defense attorney in a two-lawyer office in West Palm Beach. She is married to Judge Scott Suskauer of the 15th Circuit in Palm Beach County. After graduating from Boston University in 1988 with a degree in communications, Suskauer received her law degree from The American University in 1991 and went to work that year at the Office of the 15th Circuit Public Defender. Three years later, she joined Schuler, Wilkerson, Halvorson & Williams. 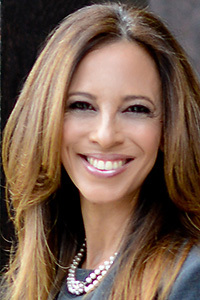 In 1997, she launched her own firm, Suskauer Law Firm, P.A., now Suskauer Feuer LLC. Among her honors are the Serving Justice Award from the Legal Aid Society of Palm Beach County; the Justice Barbara Pariente Award from the Palm Beach County Chapter of the Florida Association of Women Lawyers; and the Women in Power Award from the National Conference of Jewish Women. Suskauer’s service with The Florida Bar includes chair of the Disciplinary Review Committee, the Communications Committee and the Annual Convention Committee. She also was on the Strategic Planning Committee, Criminal Law Certification Committee and Program Evaluation Committee. Among her special appointments were chairing the Fourth District Court of Appeal Judicial Nominating Commission Screening Committee and serving on the Special Committee on the Constitution Revision Commission. Suskauer won over fellow Board of Governors member Lansing “Lanse” Scriven, of Tampa, receiving 12,993 votes to Scriven’s 10,188 votes in the first contested election for Bar president since 2011. All Florida Bar members in good standing were eligible to vote. Both Suskauer and Scriven cited the upcoming Constitution Revision Commission as a major concern for The Florida Bar, agreeing that the issues to watch closely are term limits for judges, taking procedural rulemaking authority away from the courts, and the Supreme Court’s ability to regulate lawyers. In her platform statement, Suskauer emphasized the importance of quality of life issues for lawyers in smaller firms, and mentoring for young lawyers and those transitioning into new practice areas. Access to justice also is a priority, with the Bar continuing its support of the Florida Commission on Access to Civil Justice.